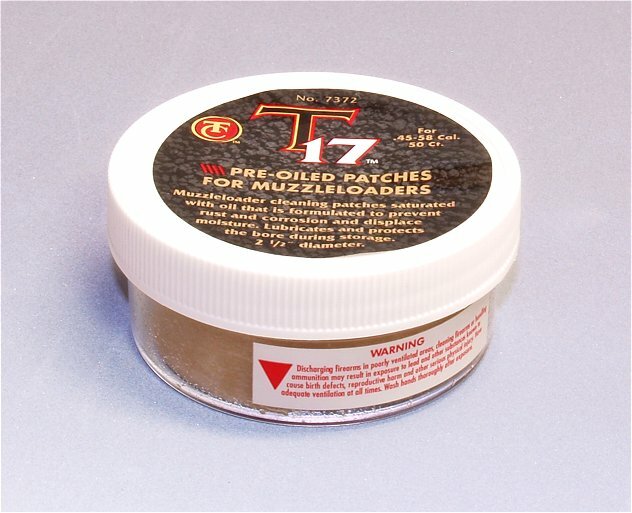 T-17 Pre-Oiled Patches for Muzzleloaders - Muzzle loader cleaning patches that are saturated with moisture displacing oil to prevent rust and corrosion. Jar of 50 Pre-Oiled Patches, 2.5" diameter. See our MuzzleLoader Accessories Page.